Follow the steps below, to learn two different ways, how make injection cleaning to the Epson Stylus TX120 printer, if you have any questions, type a comment. Cleaning the printheads, will help improve the quality of the documents obtained, it is only necessary to clean the printheads when the printer is giving a not very good quality. When you have pages with stripes letters, or print documents very blurry it is when we need to begin the process of cleaning the heads. You should be knowledge that the head cleaning consumes much ink cartridges, so the recommendation only do it when really necessary. This process will take the ink cartridge to inject quickly by the printheads, thereby causing clean and remove any residual ink that affects print lines. To clean head on the Epson Stylus TX120 printer we can do this in two different ways, one is by pressing the buttons on the top and the other one is the maintenance tool in the printer software, usually installed when the driver only if we do it from the installation CD that brought. Pressing the power button and then cancel any document stop / reset, triangle within a circle first, we can determine which colors really have problems or if the printer needs necessarily make cleaning heads — as I say before, It will be spent so much must be sure that it is necessary — we printed page appears with patterns where we can determine if any color is wrong. Using this method of cleaning, you can only make a simple cleaning and nothing profound to improve print quality, if the quality does not improve or is not what you are looking for must be repeated until obtaining the result. To make cleaning with the printer turned on and without error because of the cartridges, you must stop the button stop / reset pressed for at least 3 seconds, you can not turn off the printer meantime and finally reprint a nozzle check. The printers when installed with the installation CD at the same time a program called High Quality which facilitates maintenance of the printer, and management functions such as cleaning and printing nozzle, to check the status of the same time is installed. Just simply run the program and go to Tools, then click head alignment, and follow the instructions to finish the process. In case of not having the above mentioned program, you can download from the manufacturer's website, you can simply just go to description of your printer and select the programs available to download High Quality. If the printer does not have installed the software High Quality should use the properties of the printer in question — you need to get to the printing devices — this will depend on what your operating system, we have a good tutorial that will help you reach devices print, no matter which system is used. Already in printing devices must go to the printer properties corresponding to the printer, we will need to left-click and navigate to get to printer properties after maintenance tools in the top right of the window, where we find all the possibilities to manipulate the printer when talking to maintenance. 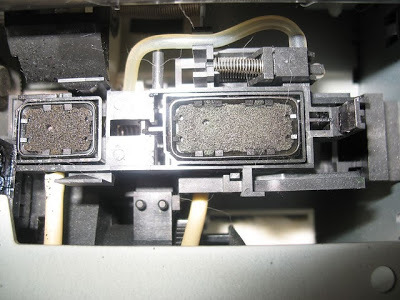 Something very important is that you should not turn off the printer while you are running the maintenance process to clean the heads, this can seriously damage the printer and clear, you will not get the results you want. If the print quality is not good, you should try these steps again until the printer quality whatever they are looking for, if you need some extra help this or any other procedure, must write a commentary on this post, we are gladly be answered.